If you own a home, how much time do you spend on your roof? How much time do you spend poking around, inspecting the health of the shingles and checking for rot or weak spots in valleys? Maybe you don’t spend any time at all on your roof, and that is okay. But if you have good weather, the ground is not too slick, and you want to proactively take care of your home, it is time to climb up on your roof and do your own inspection. 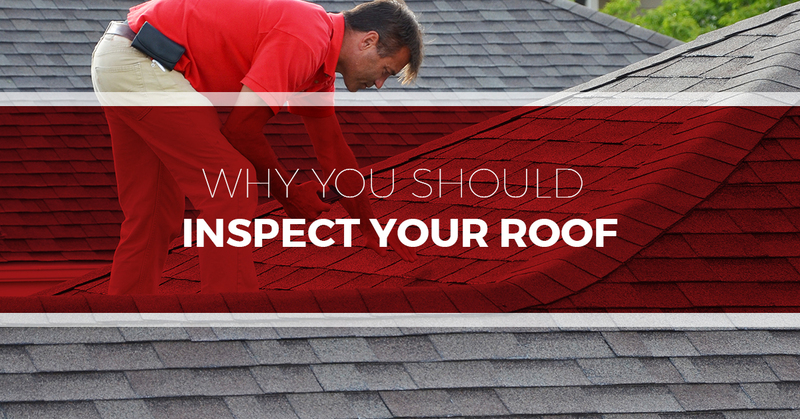 Roof inspections are like doctor’s check-ups for your house. You can find a wealth of information by just trying to get on top of your roof. And, like doctor’s check-ups, it is something we have to do to ensure things are working properly and to catch problems before they spiral out of control. If climbing on your roof and performing your own roof inspection is not an option for you, call your Top Rated Local® experts at Tim Leeper Roofing in Nashville. We are happy to help you with your roof inspection and take care of any issues that may have arisen as a result of the inspection. Don’t hesitate and don’t put off doing a roof inspection. Call today at 615-553-2782. If you are planning to do your own roof inspection, this is a perfect opportunity to survey your property to get a general idea of how your house is fairing. You might notice that some trees need to be pruned or that there is an influx of squirrels running on your roof. As you keep walking around your building, you may check on other things like your air conditioning unit or gopher holes in your garden. We’re not suggesting you have to tackle all of these issues at once. Instead, doing a rough inspection gives you the opportunity to get an idea of what is going on in and around your home. As you walk around, also observe where the gutters might be clogged, or if you notice any sagging in your roof. Being able to look at your house from across the street also helps you see the peaks of your roof line. Also, take note of where any algae or lichen is. Be sure to use a secure ladder when getting up on your roof. It is good practice to have someone hold the ladder in place while you climb up, just in case the ladder slips. This also helps if you decide to clear debris from your roof, as the person below you can spot and make sure you aren’t throwing debris at pedestrians or valuable property. Roofs can be incredibly slippery and dangerous depending on the time of the year. Algae and lichen buildup can also make the surface of your shingles a little more slick than usual. Make sure to wear closed-toe shoes that have sufficient treading. These are just some very basic tips for roof safety. Start with the shingles. Take note of any damaged shingles or shingles that are missing. If you keep count, you’ll have an exact number to take to a roofing contractor when you ask them to repair your roof. Some shingles can also buckle or curl from excessive heat. If you neglect to hunt for damaged shingles, your home becomes more vulnerable to water damage from a leaky roof. As you check the shingles, see if you can get a general feel for the granule loss on your shingle as a whole. As you run your hand over the roof, can you still feel the rough, coarse texture? If most of your shingles are smooth, or there is a single patch of smooth shingles, it is time to replace them! While you are up on the roof, revisit the places where you noticed lots of debris in the gutters. Clogged gutters prevent proper irrigation from occurring on your rough. As you scoop out dead leaves and twigs, double-check the fascia and soffit boards for rot. As we mentioned in previous blogs, these are incredibly important components to your home’s roof, often serving as the first line of defense. For the final part of a very basic rough inspection, check the attic from the interior. Many folks don’t enjoy spending time in their attic, but it is incredibly important to check for water damage and penetration. While you are up there you can also look for signs of critter infestation. While you may not see any pests, often times you can see traces of them in the form of droppings or chewed wood. After you’ve completed your amateur roof inspection, its time to call a professional to do the work. While you could attempt to do your own repairs on your roof, why not use a trusted, certified roofing contractor in your area? Visit Tim Leeper Roofing today to get a fast estimate on the cost of your repairs. Call us today at 615-553-2782 for more information.